We love Dia's look at Filmfare. 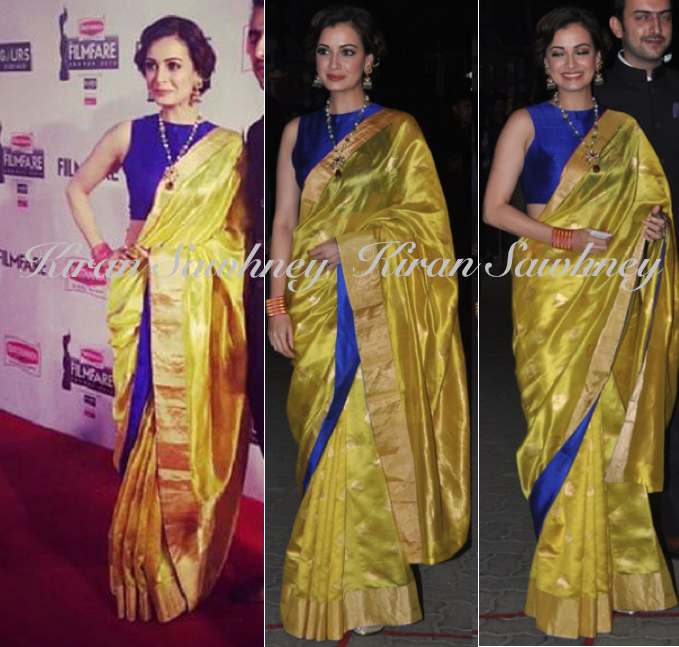 She wore a lovely chartreuse sari which she teamed with royal blue blouse, and very royal looking string and jhumkis. We love the sari. However we do wish that she had draped it better.